The tradition of the Redentore event began in 1576, when the Government of Serenissima order the work of Temple to be done by G.B Tiepolo, so that it could be perfectly seen from ponte Votivo. The gangway links together the Island of Giudecca and the Island of Zattere (Saint Spirit), stopping the traffic in the channel of Giudecca, basic gate in to San Basilio and Marghera port. The Temple is an ex-voto to thank for the defeat of the plague, which between 1575 and 1577 destroyed Venice causing 50 thousand victims, a third of the Venetian people. Till then, every third Saturday in July the Redentore takes place wtih on the one side a a religious commemoration (celebration of the Patriarca at the opening of the bridge and Holy Communion at 00:30) and an incredible floating meeting of all kinds of boats (fishing boat, working boat, ferries, sailing boat, cargo boat, roaming boat etc) and unforgettable firework. 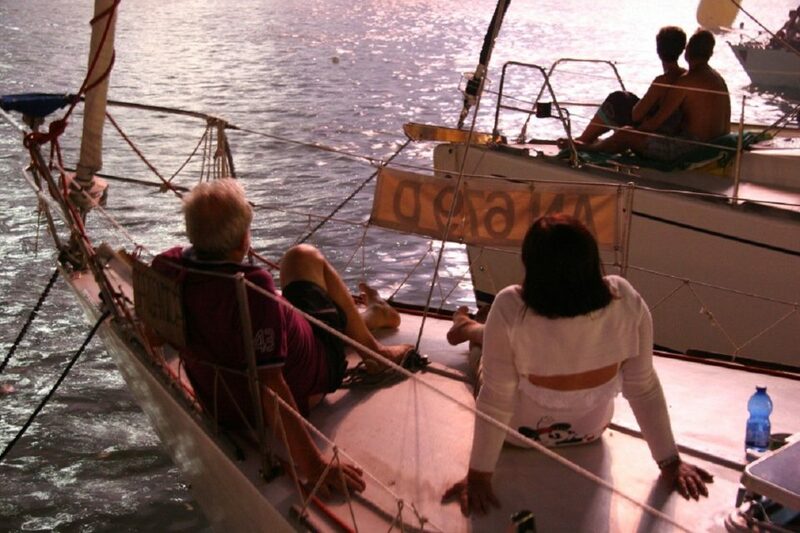 For this event all boats in the lagoon are in order and everything is prepared with care. Thousand of boats, of all kinds arrive on Saturday afternoon at the channel of Giudecca. They come from Chioggia, Jesolo, Lignano, Delta del Po, Fusina, Padova, all perfectly equipped to celebrate this great party and the following night, anchored to empty the after –effects in some berth or comfortable shelter.